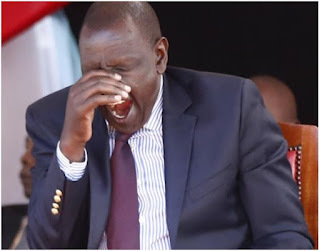 Tuesday August 21, 2018 - A vocal Jubilee Senator from Mt Kenya region has dismissed claims that the Kikuyu Community owes Deputy President William Ruto a political debt. According to some naïve politicians from Rift Valley, the Kikuyu community owes Ruto and they should support his presidential bid in 2022. But Speaking on NTV's AM Live on Tuesday, Kiambu Senator, Kimani Wamatangi, bashed politicians propagating such demands saying that they are taking the nation back. "Kenyans have moved away from such parameters and will no longer be made to vote on debt lines or pay supposed political debts,” Wamatangi said. Wamatangi noted that presidential hopefuls will only make it to power based on the nature of their services to the country and their ability to deliver. "It is not about debts but about who has what it takes to be President and lead the country," the senator said. The Senator’s sentiments were also echoed by former Nyeri Senator, Mutahi Kagwe, who said Kikuyu community does not owe anybody a political debt.